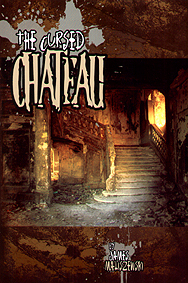 Now you find yourself trapped inside the Chateau, cut off from the sanity of the world outside. Only by braving its terrors can you hope to find your escape - if you survive. The Cursed Chateau is a fantasy roleplaying adventure for 4-8 characters of levels 4-6 that includes referee information, maps, exploration keys, and everything else needed to play. For use with any old school classic-and-level-based fantasy RPG. It's largely self-contained, enabling referees to drop it into an ongoing campaign without much difficulty. Background information has deliberately been kept to a minimum in order to facilitate this.